The most common symptoms in people with insomnia are trouble falling asleep, feeling tired during the day, not feeling refreshed when you wake up or waking up several times during sleep. Patients who have insomnia are sometimes consumed by the thought of getting enough sleep. But the more they try to sleep, the more frustrated and upset they get, and the harder sleep becomes. In Advanced Sleeping Sound, Andrew Gaeddert will discuss helping clients with chronic insomnia and why constitutional treatment is recommended. We will discuss medicines that contribute to insomnia as well as health conditions associated with poor sleep. Attendees will be able to help client’s long-term insomnia, chronic fatigue, immune disorders, chronic and acute pain, diabetes, heart disease, and cognitive decline. We will present advanced herbal and acupuncture protocols and case studies. Insomnia clients presenting with GERD, the effects of diabetes and metabolic syndrome, nasal obstruction causing snoring, Chronic Fatigue Syndrome, and depression and anxiety will be discussed. Sleeping Sound, Part 1 focused on the dangers of sleep medications, beneficial TCM treatments and sleep hygiene. Advanced Sleeping Sound will focus on fostering a greater understanding of treating insomnia using acute and constitutional approaches with patients in the western clinic. 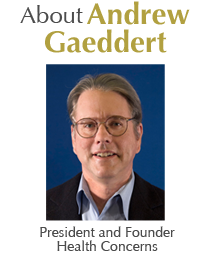 Andrew Gaeddert, RH has been practicing as an herbalist for over thirty years. He takes an East West approach to treating primary and secondary insomnia.